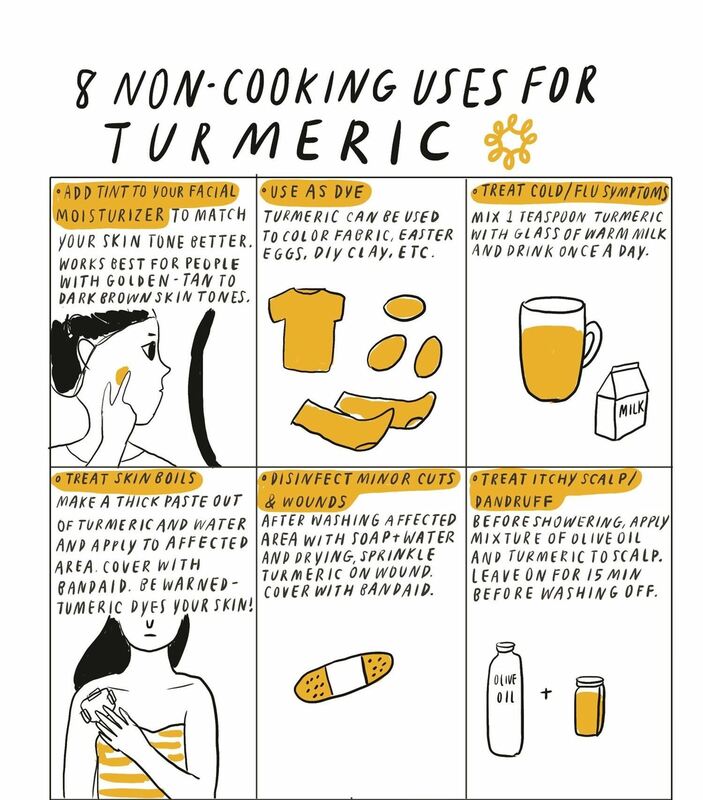 Turmeric, the vibrant yellow spice commonly used in Southeast Asian cooking, can also be used outside of the kitchen to disinfect wounds, relieve burns, add an extra golden glow to facial moisturizer, and more. If you ever feel like you are coming down with a cold or the flu, add a teaspoon of turmeric to a cup of warm milk to relieve your unpleasant symptoms. In addition to home remedies and beauty uses, turmeric contains so many healthy benefits it would make sense to ingest turmeric on a regular basis. 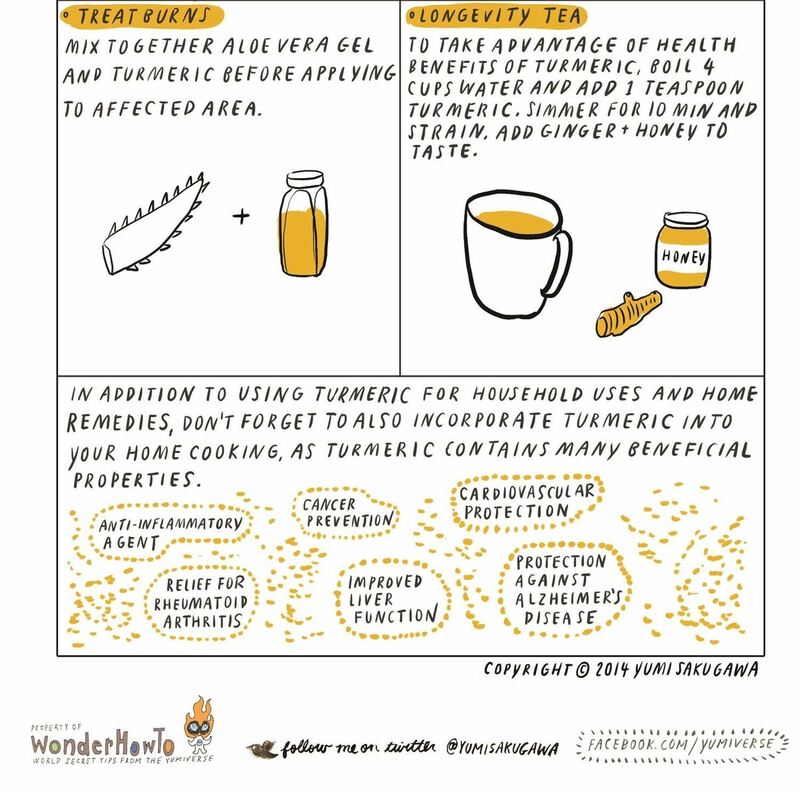 If cooking isn't for you, boil yourself some turmeric tea for maximum health.